ROME, JULY 22, 2011 (Zenit.org).- The direct action of Pope Pius XII saved the lives of more than 11,000 Jews in Rome during the Second World War, according to documentation recently discovered by historians. Pave the Way Foundation representative for Germany, historian and investigative researcher Michael Hesemann, discovered a number of very important original documents in his research of the open archives of Santa Maria dell Anima Church, which is the National Church of Germany in Rome. 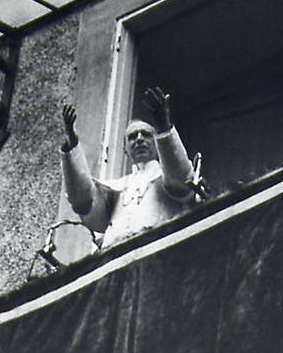 “New discoveries prove that Pius XII acted directly behind the scenes to end the arrests at 2:00 p.m., on the very day they began, but who was powerless to stop the ill-fated train,” he added. According to a recent study by researcher Deacon Dominiek Oversteyns, there were 12,428 Jews in Rome on Oct. 16, 1943. “Pope Pius XII’s direct action saved the lives of over 11,400 Jews,” Krupp explained. “On the morning of Oct. 16, 1943, when the Pope learned of the arrests of the Jews, he immediately ordered an official Vatican protest with the German ambassador, which he knew would no doubt be fruitless. The letter was then hand-delivered to General Stahel by a close confidant to Pope Pius XII, German Father Pancratius Pfeiffer, superior general of the Society of the Divine Savior, who personally knew General Stahel. These events are further confirmed by the testimony obtained during the investigation of relator (high Judge) to the cause of Pius XII, Jesuit Priest Father Peter Gumpel. Father Gumpel stated that he personally spoke to General Dietrich Beelitz, who was then liaison officer between Kesselring’s office and Hitler’s command. General Beelitz listened in to the Stahel-Himmler telephone conversation and confirmed that General Stahel used a threat of military failure to Himmler if the arrests were to continue. Just in one of these places, the Institute of St. Joseph, 80 Jews were being hidden. Michael Hesemann stated that it is obvious that any public protest by the Pope when the train departed could have triggered the resumption of the arrests. In addition, Hesemann explains that Pave the Way has on its Web site the original SS order to arrest 8,000 Roman Jews, who were to be sent to the work camp at Mauthausen — to be held as hostages — not the death camp in Auschwitz. One may speculate that the Vatican may have felt they could negotiate their release. We have learned that it was also Bishop Hudal who was acknowledged by the Vatican as actively participating in helping some Nazis war criminals escape arrest after the war’s end. Because of his political position, Bishop Hudal was persona-non-grata at the Vatican and in fact, was chastised in writing by the Vatican Secretary of State, Cardinal Giovanni Battista Montini (later Pope Paul VI), for even suggesting that Vatican help any Nazi escape arrest. Krupp further commented that he has the sincere hope that the scholarly representatives of the Roman Jewish community, research original materials only steps from their homes. Elliot Hershberg, chairman of Pave the Way Foundation, added: “In the service of our mission, we are committed to try to bring some resolution to this controversy, which affects over 1 billion people. “We have used our international connections and trust to obtain and post on our free restricted Web site over 46,000 pages of original documents, original news articles, video eyewitness, and scholarly interviews in order to spoon-feed this documentation to the historians and scholars. Posted in Church History, Popes on July 26, 2011 by Dennis Mallon.